This was a dispute between a B. Ed. third year student and myself in Mahendra Ratna Campus (MRC), Tahachal. The day was 14 November 2000. 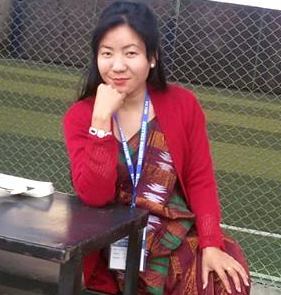 I was invited to teach Teaching English Literature at MRC immediately after my appointment at Kathmandu University (KU). It was my choice to be in two university systems simultaneously. Besides, how would I miss the chance to teach a higher level course in literature while, as a full-timer in KU, I was teaching general English at the Intermediate level only? In MRC I would begin the class with about a dozen students but end it with more than a hundred. So, there always was a flow of them coming in almost every twenty seconds. Mine was the first period at 6 a.m. The class was unforgettable – for everything ranging from the poor doors and windows, dusty floor, dirty blackboard to the influx of those unfamiliar faces, and the noise inside and outside. I wouldn’t mind a thing assured that minding barely made any difference. I was interested, and excited, because the general response of the majority audience was positive. I was not unwelcome to teach literature though many would still have loved to mention that I was a pure “Arts” guy teaching “Education” students. On this particular November morning I happened to enter the class a few minutes later than 6 a.m. but apparently much earlier than a majority. That student, whom I had never seen before, interfered as soon as I had stood on the dusty podium. As he dared even to tell me ‘you can go’, my teacherly self saw it futile to stay in. After all, I neither needed to stake my dignity nor would expect any sympathy from anyone. But I tried to calm myself for a while, waiting for a general response. Other students were silent, perhaps confused, because everything was so sudden. “I did not expect this. Pity you’re going to be a teacher!” I said this and walked out of the class. I could fight and still continue because my few minutes’ delay was insignificant compared to the general delays and absences our government colleges are known for. I was in fact disturbed not because of this new comer’s imprudence, but because the rest did not respond. I had an instant feeling that I had failed to teach well, otherwise someone would intervene. I decided to walk out of the main gate and never return. But, contrary to my earlier impression, a number of students came running after me, requesting not to leave. They knew I would not only leave the class for the day, but forever. They knew I taught in KU, and MRC was only a part-time place that I could comfortably forfeit. They knew I had not gone there but was invited to handle the course someone had mishandled before me. “Sir, you should take that some people can be crooks. But wise ones have to be even wiser at such times,” one frowned. “There’s a motive behind this. Someone wants to replace you. He’s only a pawn. You know it happens in government colleges,” claimed other. “No, there’s none behind. He’s only trying to impress us for the upcoming Union election,” some others remarked. A group of students had already caught hold of and chided him. He might have apologized with the classmates. He came to me with a sullen face and said he had joined my class for the first time and that he didn’t know me. Unlike what was expected, he did not miss any class afterwards. He was curious, eloquent, critical and creative — the type of student that helps make a class on literature productive. It is nearly a decade since. I recently read my diary page and came to know that I had been very angry that day. But if I had reached the class on time that day, my brief service at MRC would have been less meaningful. The student first to stop me from walking out of the gate wrote a text book as soon as he had taken the third year examinations. He acknowledged me as his first source of inspiration and guidance. I have lost touch with all of my students but this one, the boy who had a row with me. The truth is: I had begun to like him from the following day. In fact, this is teaching: it is a challenge and a victory sometimes. My students at university are different; thus, I can never say that I know them all, but I like them all. I like to see them growing up to be creative and critical. I like them to feel at ease. It’s so nice to hear from you. I think Mr. Kafle’s anecdote is not very different from any teachers’ working in this region. Nonetheless, the difference is that he decided/waited to see the good qualities of his student by continuing the course. Obviously, there are some students who appear challenging, but it takes a sensible person to set things right. I like the way Mr. Kafle expresses his liking for the person who disturbed/angered him. A teacher should be able to turn students’ energies into constructive work. He listened to the genuine voices of the majority, and refrained from acting with impulse.Thus he did what an ideal teacher should do! Wow, a fine example that a teacher is always compassionate to her/his students and that’s why we love the profession of a teacher; really challenging but satisfying too. Real experience of a REAL teacher – I wish the country had more and more teachers like you.